Confirm A Kill have over 25 years’ experience in the pest control industry. We provide our wide range of pest control services to both domestic and commercial clients in Nottingham and the surrounding areas. We are members of both Prompt and NPTA and all our work is fully guaranteed to provide you with total peace of mind. All of our pest control services, including Bird Control, start with a free, no-obligation assessment. Once we understand the issue, we will provide a competitive quote which is covered by our price match promise. This guarantees you the lowest price for the work. If you should find a like for like service that is cheaper, then we will happily match it. We offer a comprehensive bird control service that safely and effectively deals with all manner of bird problems. There are many ways birds can cause a nuisance around your property. As well as being noisy, they can also be messy, unhygienic, and can give customers, staff, and the general public a bad impression of your organisation. 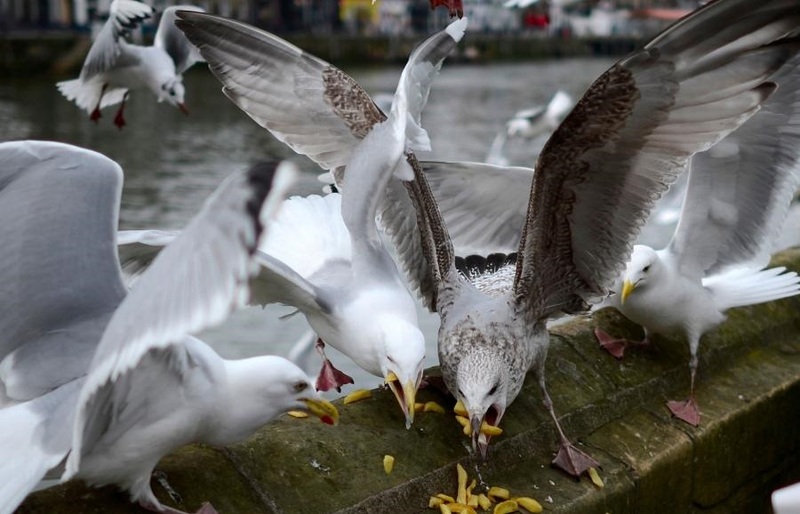 The droppings of birds, such as gulls and pigeons, can spread diseases including Ornithosis, E.Coli and Salmonella. With certain birds, the acidity in their droppings can cause damage to stonework, not to mention that it is also very unsightly. Physical debris from birds such as feathers or nesting materials, as well as droppings, can easily result in blockages in guttering or ventilation shafts. This can lead to insects migrating to the area which attracted by the large accumulation of fouling. Blocked guttering can also result in water damage which is time-consuming and expensive to fix. It is very rare to solve a bird problem by killing the offending birds. Like the majority of pests, and any animal, birds will nest and congregate in areas where the environment is suitable for them. By simply killing the birds you’re not addressing the real problem which is the area in which they are inhabiting, and more birds will simply set up home. The solution to bird issues is to deter them and make the area unappealing for them to inhabit. As all birds are protected under the Wildlife and Countryside act, we can create specialist solutions for individual sites. Our services cover most species and will stop them from roosting and nesting on or in your buildings. Bird proofing can be particularly tricky when the problem affects such a wide variety of surfaces including building, statues, monuments or signage. However, dealing with this pest infestation can be quick and discreet with the right knowledge and correct equipment. Our bird proofing solutions are highly effective offer an almost immediate solution to your bird control problems. All our bird proofing systems are installed to the highest standards by qualified technicians. Most bird prevention systems will require the use of specialised access equipment. Our technicians are all fully trained in the use of MEWP (mobile elevated work platforms) and tower scaffolds. Before we begin your project, you will receive a comprehensive risk assessment and method statements to ensure that all our works are completed in a safe manner. 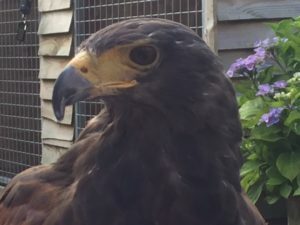 The use of birds of prey, such as hawks and falcons to disperse gulls and feral pigeons is a highly effective, environmentally friendly and natural pest control solution. The birds of prey are there to scare and deter rather than kill, and they quickly make an area undesirable and unsafe for pests. All of the hawks and falcons that we use are specially trained and have experience of working in urban and industrial environments. Our specialist falconers are also fully qualified pest control experts. Birds of prey can be used in areas and locations where bird proofing has not worked or is not a viable option. This includes areas such as hospitals, offices, industrial estates, schools, leisure centres, golf courses, airports, railway stations and landfill sites. If you’re experiencing problems with unwanted birds in your domestic or commercial property, then we are here to help. Please get in touch, and we will be happy to carry out a free of charge inspection and recommend a course of treatment. If you think that you have a problem with birds then get in touch with us for a free, no obligation quote.